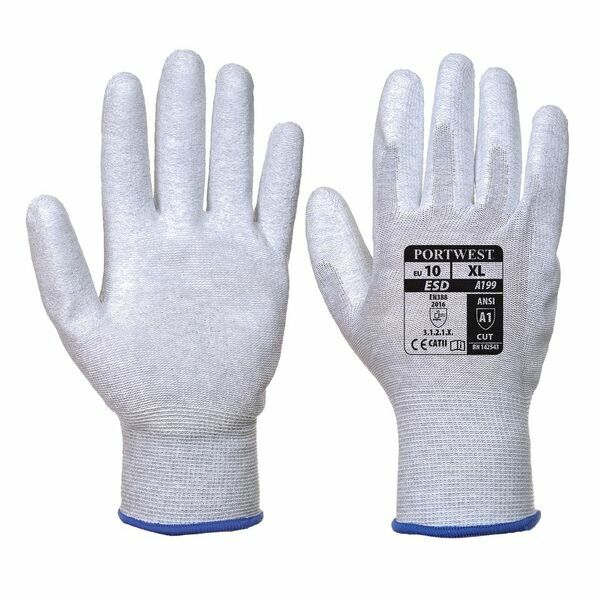 With a super flexible 13g pylon and carbon fibre shell, the lightweight Portwest Anti-Static PU Palm Coated Grey Gloves A199GR are specially developed to divert static electricity. 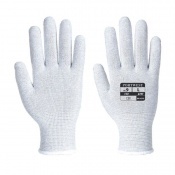 Their dexterous design and comfortable seamless liner are perfect for tactile applications, especially when working with items such as small electronic components. 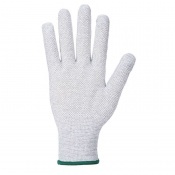 The Anti-Static PU Palm Coated Grey Gloves use a polyurethane palm coating to provide exceptional dexterity, making them ideal for small component handling. 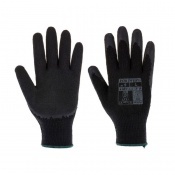 Their nimble carbon fibre and pylon shell ensure a lightweight feel, meaning that the user has total control when handling materials. The Portwest Gloves A199GR are available in six sizes that should be suitable for most users. To find your perfect pair, please measure the circumference and length of your palm and match the results to the table below.